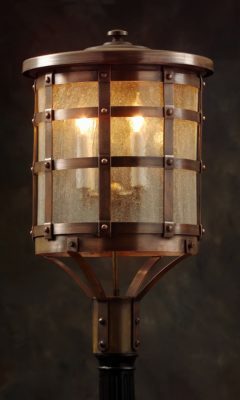 First of all Hammerworks Handcrafted Copper Colonial Small Post Lantern P112 provides a glowing warmth when lit. Yet it’s beauty provides a dramatic accent in daytime as well. Especially relevant you can choose either solid copper or brass. In addition we offer custom verdigris copper and painted black Finish Options. 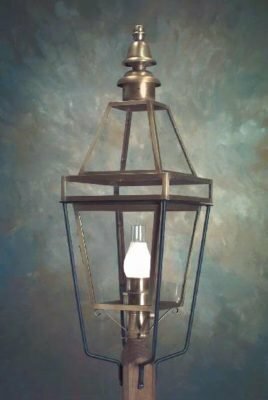 You are guaranteed to receive a premium copper or brass Colonial Post Light handmade in the USA with Hammerworks Lighting Products. 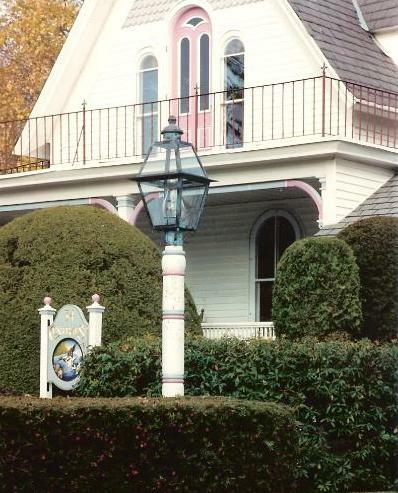 The Cape Cod Style Post Lantern enhances your home’s curb appeal. Furthermore it adds safety and security. Most of all it’s solid copper or brass construction ensures it to last for years to come in any weather. Most of all our Handcrafted Colonial Style Post Lighting is ideal for a variety of outdoor areas. Consequently you can place it throughout any outdoor living space. These include walkways, patios, decks, docks and even outdoor kitchens. Most importantly we make rustic style Colonial Post Lanterns with an industry standard 3″ post fitter. Therefore it is ready to mount on one of our Colonial Style Light Poles with ease. In addition you can adapt it to mount on a stone pier or pillar with our custom pier mount. Furthermore for illumination you can choose a standard single medium base socket or optional 2 or 3 light candle cluster. Thus these Traditional Colonial Post Lights are easily customized thus creating the ideal lighting solution for any home design project. 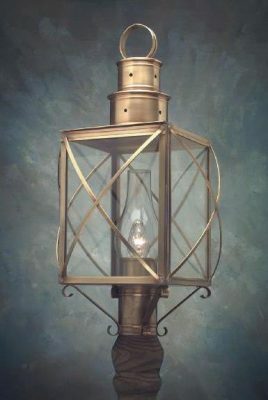 While we offer a multitude of large and impressive Colonial Copper Post Lanterns, sometimes you need something on a smaller scale. 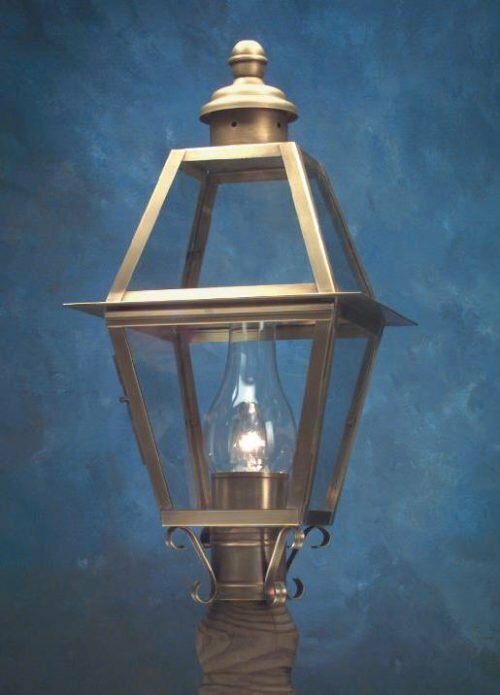 Therefore the P112 Handcrafted Copper Colonial Small Post Lantern offers the ideal solution. The compact dimensions of these classic Colonial Style Post Lanterns make them an excellent option for a variety of settings. Most importantly for nearly 40 years we have provided the same exceptional quality. Therefore no matter the size or style, Hammerworks offers the right handcrafted Colonial Style Post Light.